Our showroom is the perfect place to view the latest automation and access control products. 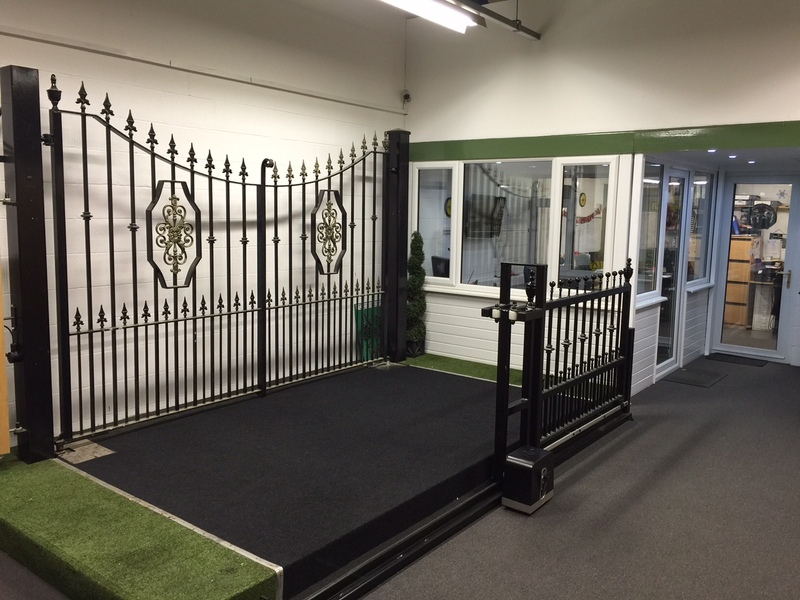 We always have various timber gates and steel gates on display or being prepared for customer installations. You are very welcome to visit our showroom which is easily located at Cannock Chase Enterprise Centre. Here we are able to talk about all forms of gate automation and you can view examples of our latest products. To discuss your requirements why not call us on 01543 879116 in advance and arrange to meet us at our showrooms, where we will be happy to share our knowledge and advice with you. When building a quality bespoke hardwood electric gate it is imperative that only the best materials are used and that they are constructed by skilled craftsmen. Our timber gates are individually built, generally using Idibo or Keruing woods. 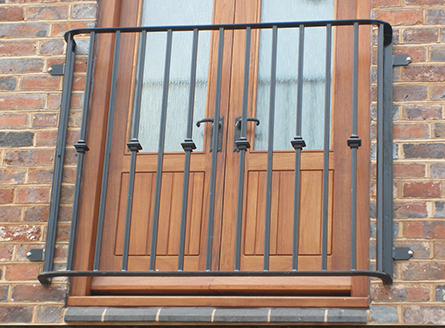 The gates are typically manufactured from 140mm x 70mm frame with a 90mm finished thickness. Gates are supplied pre treated with a high quality preservative such as Sikkens or Osmo oil, to a colour of your choice. Our full automation installation service is available with all timber gates. Please view our gate automation section for more information or contact us to discuss your ideas. We have a range of beautifully crafted steel gate designs which can be manufactured to suit your individual entrance. View our bespoke examples in our Mg gate design gallery for inspiration. Our steel gates are typically manufactured in mild steel using a 50mm x 50mm and 50mm x25mm main frame section and can be supplied in a number of different finishes including hot zinc spray primer, powder coating and galvanising for commercial gates. If you require an original wrought iron gate fabricating, please call us to discuss your ideas and options available. Our full automation installation service is available with all wrought iron gates. Please view our gate automation section for more information or contact us to discuss your ideas. All of our installations are carried out to the highest standard by fully qualified engineers who have all carried out the Gate Safe awareness course. Midland Control Systems prides itself with providing all our customers with a professional and personalised first class service. Our installations are carried out to meet Health & Safety guidelines as set out by the HSE. Automatic gates provide you with convenience, security and peace of mind. Midland Control Systems offers a full range of automation solutions both hydraulic and electromechanical, to complement our range of timber and steel gate installations. We can also supply and fit equipment to existing gates. Testing of all safety precautions. Fast and reliable response times. Midland Control Systems provide a comprehensive range of heavy duty Commercial security gates, to include swing, sliding and cantilever gates, together with automatic road traffic barriers. These gates may be offered in a choice of finishes including galvanising hot zinc spray primer and powder coating to a specific RAL number. All automation systems used are of a very high specification and designed predominantly for use in the commercial sector. A range of ornate letterboxes may be offered and may be surface mounted, installed into new brickwork or built into our range of timber and steel gate designs. These letterboxes have a front opening for mail and include a lockable rear access door complete with two keys. The property number or name can be depicted on the front face of the letterbox. The front and rear faces are cast from aluminium and the main body is made from a sturdy electro zinc coated steel. To ensure a long lasting finish these items are phosphate treated and coated in a durable top quality low baked enamel paint. Our wide selection of railings are custom built to your individual requirements and will be designed to complement your main driveway gates, providing your property with security and elegance. 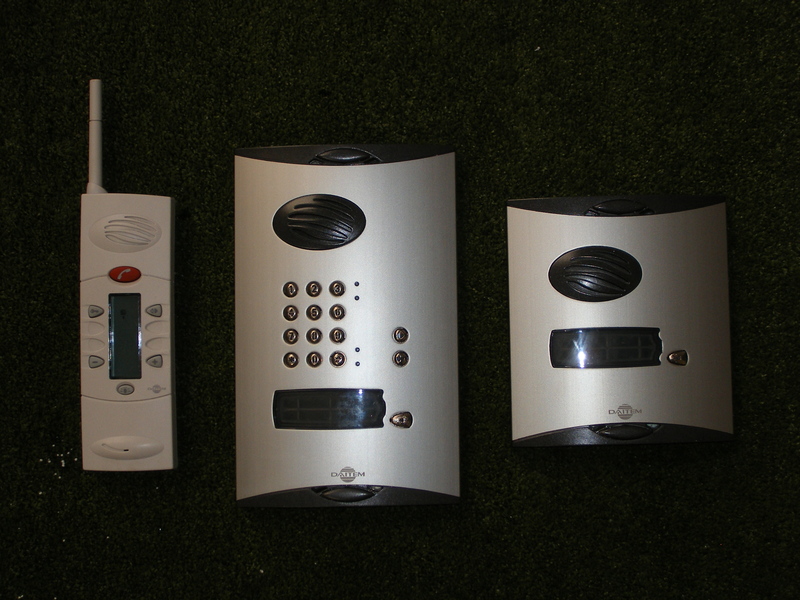 We are able to provide a comprehensive range of safety devices, high quality video, audio and GSM intercom systems, together with digital coded access pads, GSM controllers and parking systems.